While looking for what type of lights to fit to my new bumper I came across some unexpected information. Fit lights that have the 'E' mark on them just to be sure. The only people who are likely to look close enough are MOT testers but I don't want my car to fail an MOT just because they don't like my choice of lighting. More interesting was the bit about headlamp washers because I had just removed mine! I had no idea that the washer jets are a requirement if you have bright High-intensity discharge (HID) headlights and apparently LED headlamps. Luckily I have never felt the need to fit brighter lamps. I am happy with a good set of normal halogen lamps. Those people that like the HID lamps may need to think carefully if they fit a heavy duty bumper because few if any accommodate headlamp washers. I expect this will change if more car manufacturers fit HID lamps as standard. In my reading I also strengthened my view that retro fitting LED lamps in to non-LED light units is not legal at the moment or at least confused enough to not be worth the trouble. 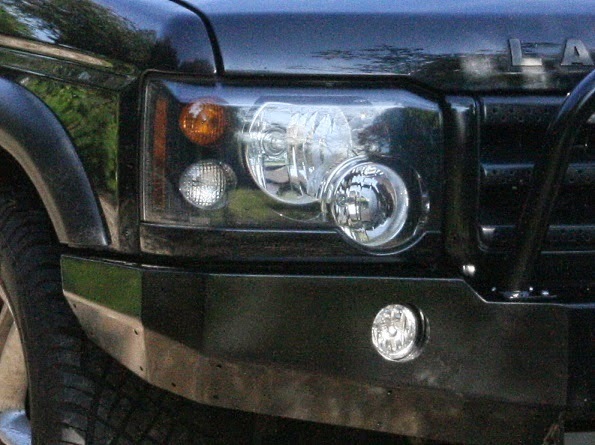 I'm talking about exterior lights, specifically the headlamps. I will change the interior lamps to LED to save a bit of power when the doors are open. It is a shame that the laws relating to the exterior lights make me hesitate because I am a big fan of LED technology. Their theoretical durability and long life make them ideal for cars. 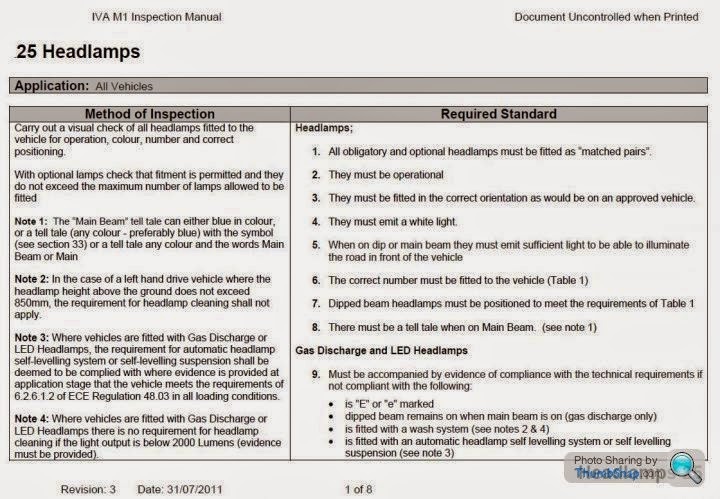 I'll just have to hope that the legislation or guidance round it is adjusted to take in to account the LED replacement lamps or perhaps that someone manufactures and gets EU approval for aftermarket LED lighting for a D2. I am not as sure on the legal requirement for sidelights and indicators etc. Some police forums only comment on the individual lamps requiring to be E marked. I cannot find the definitive answer on this. Although not applicable to the D2, on some cars the can-bus system that detects if a lamp is working will not detect the presence of an LED lamp and therefore reports a fault! The LED lamps that are compatible include a resistor but that defeats one of the benefits of LED which is much lower power usage. The resistor draws the same power as the filament. So fitting side and tail lights might have little if any benefit on some vehicles. Plus there is a mixed bag of reliability information. For each post I found reporting how reliable LED lamps are I found as many saying how unreliable they are! My conclusion is that existing car lamps are so reliable and low cost that, in my opinion, at the moment there is no point in fiddling about with swapping to LED lamps on my Discovery 2. Given a choice I would select light units with LED over filament but not retro fit LED lamps to existing units. Over time I am sure things will change and the technology will become accepted so expect my car to get an LED makeover at some point.